I’ve been trying to do a bit of a New Year’s clear out, which has been rather unsuccessful but has meant I’ve unearthed some stuff I thought was lost forever. The most pertinent being some books on London which had been jammed behind some books on sewing and clouds. 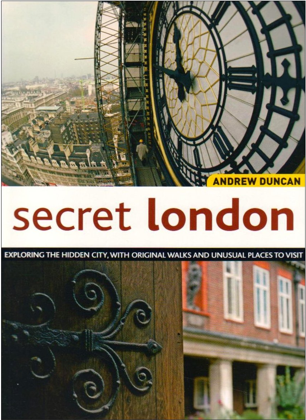 On flicking through Andrew Duncan’s Secret London, I found a walk that I thought I could have a crack at in my lunchtime. This one was going to take me East of St. Paul’s to an area that I don’t normally frequent – the financial heartland of London. Now I don’t want to take you on a step by step guide through the walk, one because it may become a little tedious and two because I’m sure it forms some sort of plagiarism. As I started the walk, the first thing that struck me was that, even though I had a fairly new 2006 edition, London’s ceaseless construction had meant that I had to read between the lines for a few bits. Intrepid walker that I am, I soldiered on and was rewarded with the first jewel on the walk – the old churchyard of St. Pancras Church, Pancras Lane, destroyed in the great fire of London 1666. 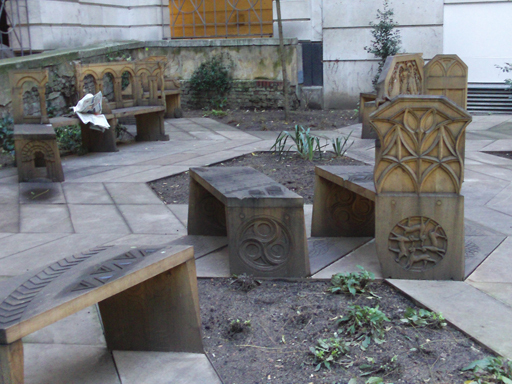 The book I have states that it’s “a small, scruffy garden, often used as a bicycle park” which must have stung someone into action because it is now a small, scruffy garden complete with wonky pews. 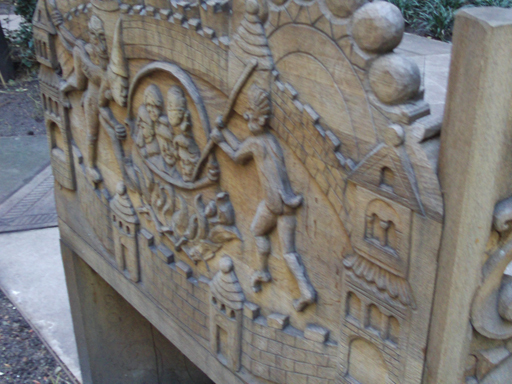 Some of the carving is quite amazing. After taking me through some lovely covered alleyways with thick set city boys getting fitted for their suits, I was spat out by New Court on St Swithin’s lane. It fair warmed my heart to see a road that houses the Rothschild’s merchant bank sitting almost side by side with this fantastic barbers. 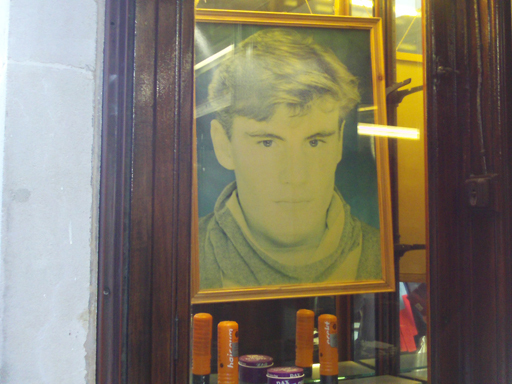 I want my hair cut like this. 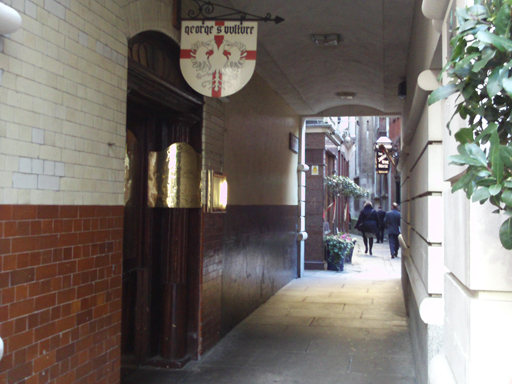 I was then led on a magical mystery tour through the back alleys and side streets by the Royal Exchange, where old coffee houses turned into financial institutions and restaurants seem to serve the same fayre they have since the 40s. 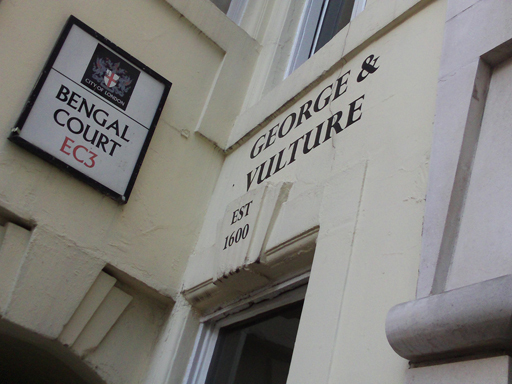 One of these is the George and Vulture. I read the menu and was transported back to the Angus Steakhouse ’88 – prawn marie rose, lemon dover sole, steak (obviously). 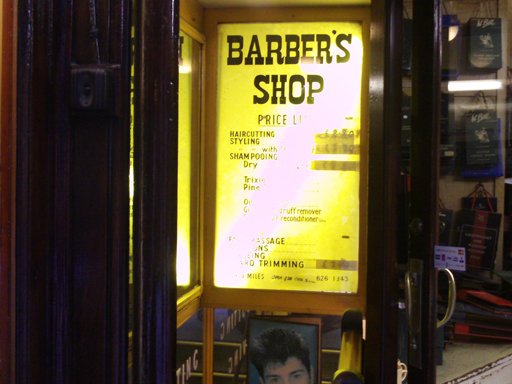 Peering through the windows, I noticed all the staff wore starched, white shirts and black aprons (which was nothing like the Angus Steakhouse). I definitely want to go. And I was rewarded with the Jamaica Wine House – An old coffee house which is now a pub. 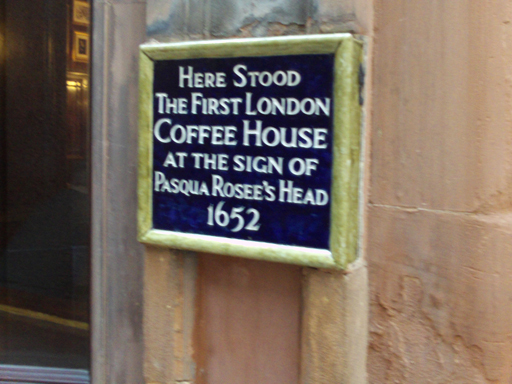 Pasqua Rosée, (according to a crumpled bit of paper in one of the windows and Wikipedia) was the servant of one Daniel Edwards, a trader in Turkish goods who imported the coffee and Rosée to make it. He assisted Rosée in setting up the establishment. Because of some nefarious building work around the alleys, which meant quite a lot of doubling back, this was the end of my little jaunt but, please join me again for part 2 which I’m hoping to complete within the next few weeks. This entry was posted in churches, Walks. Bookmark the permalink.